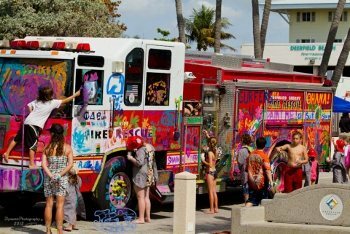 COCOA BEACH, Florida -- Join the Cocoa Beach Professional Firefighters as they support Surfers for Autism on June 2nd at Lori Wilson Park in Cocoa Beach from 10am-4pm. They will be helping with the event, providing free water and you will be able to PAINT A FIRE TRUCK!!! Come show your support and help raise awareness at this life-changing event. SFA events are free for participating families and also serve as fundraisers.